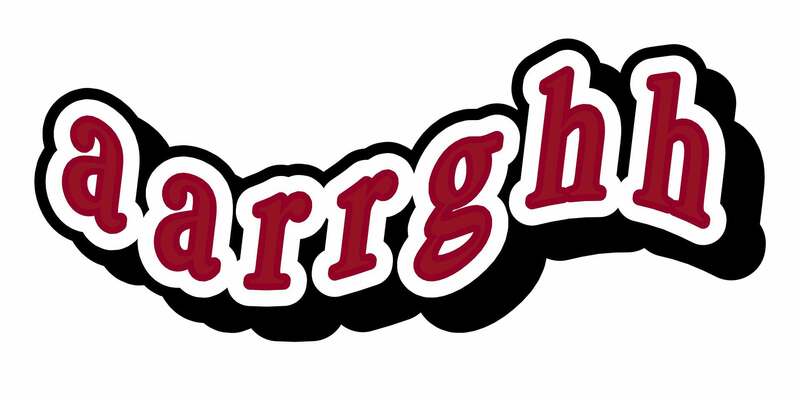 Don’t grind your teeth when your Mac does something stupid, or doesn’t work the way you want it to! Here’s how to remain sane and keep using a Mac with special reference to issues caused by recent Mac hardware and software releases. I’ve a new 2016 MacBook Pro with Touch Bar and am struggling without a proper Esc key! It’s not an ideal solution and will require you to retrain your fingers when typing but you can turn the Caps Lock key into an Esc key. Open System Preferences, click the Keyboard icon, and select the Modifier Keys button at the bottom left. 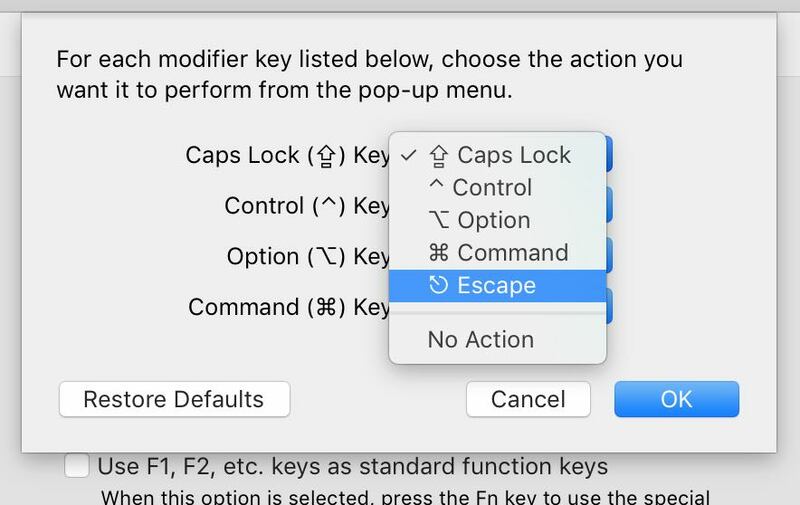 Then select Escape from the dropdown list alongside the Caps Lock entry. There’s been quite a few malware outbreaks on the Mac this year and I’m worried. Oh yeah, and turn on two-factor authentication. Do it now. Right now. And get your friends and family to turn it on too – if you care about them. I paid thousands for my new Mac just months ago but already my disk is full! Macs with solid state disks continue to have tiny amounts of storage that fill-up quickly. My advice is to get an external disk or a NAS and off-load anything you don’t need day-to-day. 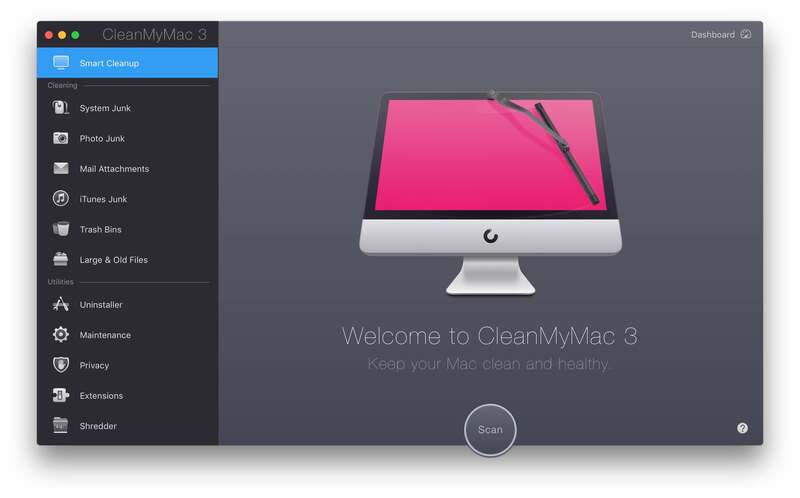 I also recommend MacPaw’s CleanMyMac, which is extremely effective at cleaning-up detritus and freeing-up gigabytes of space. Unfortunately it isn’t cheap but it’s a worthwhile investment. Lastly, don’t forget that macOS includes tools to offload some of your files to the cloud. My MacBook (Pro/Air)’s battery doesn’t last as long as I expect, or would like. There are many answers to this question. Firstly, use macOS built-in apps where possible. They’re simply much more optimised for long battery life compared to competitors, which often simply don’t pay much attention to battery life. The difference between using something like Google Chrome instead of Safari can mean an hour of battery life, in my tests. Secondly, if your Mac is powered via a USB-C port then consider getting an external USB-C charger and carrying it around with you. Thirdly, apps like gfxCardStatus and Turbo Boost Switcher give you more control over the power consumption of the CPU and GPU (if your Mac has one). Finally, see my guide to what exactly consumes battery power on a portable Mac. It’s very interesting and very surprising – keyboard backlighting barely makes a dent, for example. Videos and movies I download outside of iTunes just won’t play in QuickTime Player, and so I have to use an app like VLC – which gobbles-up my Mac’s battery life! 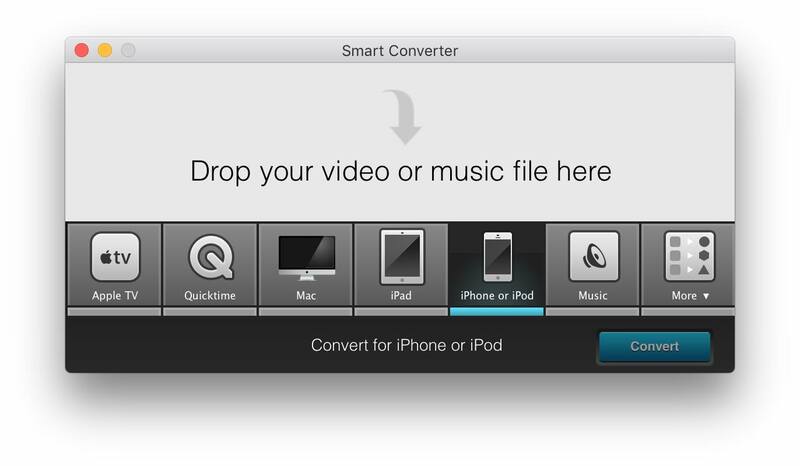 Use an app like Adapter or SmartConverter to convert them to MP4. This will then mean they play just fine in QuickTime Player. Often selecting the Apple TV 4 preset in converter apps provides the best resolution and quality settings without the need to tweak. How do I play videos I download picture-in-picture? QuickTime Player doesn’t offer the option! iTunes offers the option, so you could import your movie into it, but to play any video file you download quickly via picture-in-picture, follow these steps: Open Safari, then drag the video file to where you normally type the URL at the top of the window. The video will then start playing in Safari. Drag that browser tab to the left of the Safari window to pin it, then select the picture-in-picture option from the video playback toolbar in Safari. Some sites with video just don’t work with Safari’s new picture-in-picture feature! Download and install the PIPtool Safari extension, that adds the option to all video windows in Safari (including YouTube). For what it’s worth, if you find a video file at a particular website simply doesn’t play at all in Safari, try right-clicking it and selecting Open Video in New Window. Picture-in-picture is kind of useful but I don’t always want the video window in a corner of the screen! Why are you so obsessed with PiP all of a sudden? Anyway, just hold down Cmd while dragging the window after it’s been sent to a corner of the screen. Then you can put it anywhere. I’ve got a older Mac that only supports Thunderbolt 2 and I’m feeling a bit left behind in the rush for Thunderbolt 3! Did you know that Thunderbolt 3 devices can attach to Thunderbolt 2 ports via the Thunderbolt 3-to-Thunderbord 2 adapter? Although seemingly designed for the newest Macs, it can actually be reversed to work in the opposite direction – although you’ll probably need a Thunderbolt 2 cable, and the device obviously will only run at Thunderbolt 2 speeds (and might not work at all – I guess you’ll just have to try it and see, although there simply isn’t the bandwidth to run one of the new LG 5K monitors, so don’t even try). Siri on the Mac is great but how do I use it without having to speak (and thereby annoying colleagues/family members)? Just open Siri and then say something like “Good morning” (at the present time it responds with a weird message about HomeKit, but just ignore that). Then double-click your “Good morning” and start typing, hitting Enter when you’ve finished. There won’t be a text cursor but you will overtype what’s there. You can continue typing queries until you close the Siri window. Shut-up and just buy this. You tell me above to use built-in macOS apps but Mail is crap! It’s hardly improved since it was introduced and I just can’t take it seriously! Try MailButler, a Mail plugin which brings many fashionable new-fangled features to macOS Mail, such as the ability to snooze/schedule emails, or view read receipts, and much more. For me it turns Mail into a very usable, very powerful app. You tell me above to use built-in macOS apps but Safari is crap! It keeps breaking in various ways, or is just unusable! Safari is a speedy browser nowadays with a decent compliment of extensions (you can now get uBlock, for example) although, yes, it has a habit of crapping-out on occasion. See this guide I wrote about fully resetting Safari. I find I have to do this every six months or so. If you use iCloud browser syncing then you won’t lose any data. Why doesn’t iCloud include a trash can? If I delete files, calendar entries or just about anything stored in iCloud, it disappears instantly! 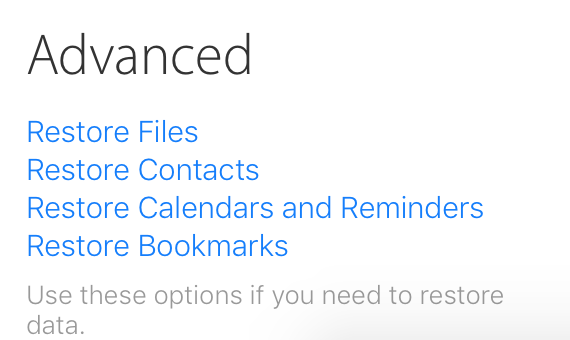 Not quite – if you visit the iCloud website, then click the Settings icon, and finally click one of the Recover/Restore options at the bottom of the page under the Advanced heading (yes, Apple apparently considers the ability to restore deleted items “advanced”). Note that items only remain undeletable for 30 days, after which time they really do vanish. I keep getting calendar reminders full of adverts for Ray-Bans! WTF? Don’t fall for it! They’re fake! I know, I know. Like you, I see nothing wrong with buying fashion items via questionable calendar invites from Chinese sellers I’ve never heard of, but I held myself back and didn’t get out my credit card. Various fixes are described online, while Apple has promised to tackle the issue. If I click Apple > About This Mac, and then Storage, I’m told I have a lot of “Purgeable” space. How do I actually purge it? See Apple’s support document about this but, in a nutshell, these are files that will be transferred to iCloud and deleted from your local machine only if you start to run out of disk space. You can’t actually force the purge to happen. I’ll offer some other options as well! Regarding CleanMyMac… “Unfortunately it isn’t cheap but it’s a worthwhile investment.” I don’t think that’s a fair statement. $39 is not much to ask for software that you will end up using all the time. Beating up on indie devs to reduce prices in the long run will mean less devs creating quality apps from people you can trust. Use uBlock – on a site that tries to force adverts, oh the irony. I run a lot of passed-down Macs, laptops, an Air, and of course, MacBookPros in various configurations. Your website is a godsend. Thanks from Mac Users, everywhere, especially those in website development.